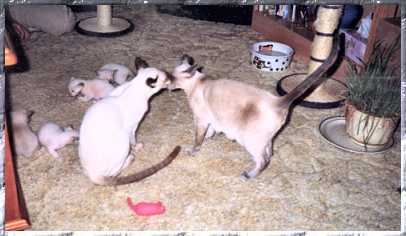 We currently breed pure Siamese in all four colours, Siamese colour points specialising in Tabby Points, Tortieshell Points and soon Red Points, and Orientals of varying colours and patterns. All our kittens are raised as part of our family and are raised indoors. 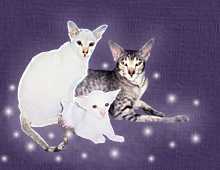 We are a small cattery that concentrates on providing a perfect family pet in optimal health. 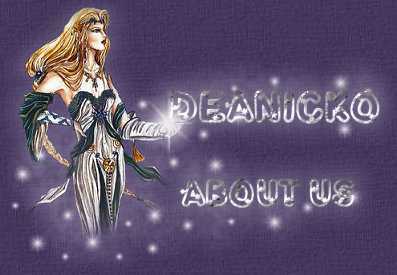 Send us your banner and we will display it with pride on this page.